Wood crafting was taken to an entirely new level with the introduction of the CNC machine. Fashioning of designs, pieces and prototypes became faster and neater since they came into use. With its application, unique, complex patterns and designs can be engraved or shaped out of wood surfaces without stress. Craftsmanship now enjoys full attention because of these devices. But many have asked, ‘how do CNC machines work’? This is not a silly question. It has baffled many people about how such bulky machines work so efficiently and produce such intricate designs every time. Others even wonder if operating them would not be so complicated. Here, you will get an in-depth view of what CNC routers are and how to use them. We will tell you about the individual components as well as how they are assembled. You will also get to know how CNC routers work to out bring those fancy designs you’ve been fascinated about. A CNC (Computer Numerical Control) machine is basically a machine that uses computer programming instructions to control parts and build things. This means that the machine is automated, allowing it to use set instructions from a computer system to fashion materials. The advantage of not needing a manual operator allows CNC routers to gain wide use in many woodworking projects. In every workshop, the singular, most important rule of machine operation is to know the ins and outs. Why? Well, for one thing, you would avoid getting yourself hurt while using it! Plus, you won’t get to damage the machine or work material from poor handling. This is why knowing what makes it up is the first step to learning how CNC router works. When taken apart, CNC routers are all basically made up of the same components. These are the input devices, a machine control unit, a machining tool, driving system, feedback system, and a display unit. Each component has its specific task and location on the CNC router. The program input device is the site from which the program data for the part to be produced are entered into the CNC router. The required design is created with software and this is sent into the machine. The programmed instruction feeds the CNC router with precise dimensioning data to create the exact model required. 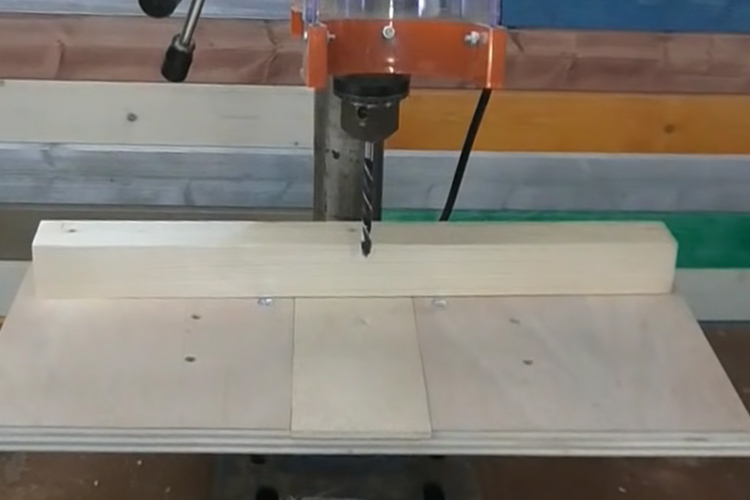 How does a CNC machine work with an input device? Well, usually, input devices in CNC machines come as punch tape readers, magnetic tape readers or computers. The computer versions receive data saved on flash drives, diskettes, compact discs, and other external drives and convert them into program codes. These are then fed to the CNC machine. This reads and decodes the instructions fed in by the input devices. The MCU, as the name implies controls the machine systems. It does this by translating the code into machine language and calculating the exact positions of the cutting parts. This is done through an interpolator on the data processing unit (DPU). Then, it relays to a control loop unit (CLU), initiating the mechanical parts of the CNC router. The MCU, DPU, AND CLU are all located at the center of the CNC router. The DPU is responsible for receiving and decoding programs. It also relays the decoded instructions to the CLU which implements auxiliary control functions and driving of the axis mechanisms. The machine tool is made up of the machine table and the cutting spindles. It also consists of the axes and systems controlling the machine parts. 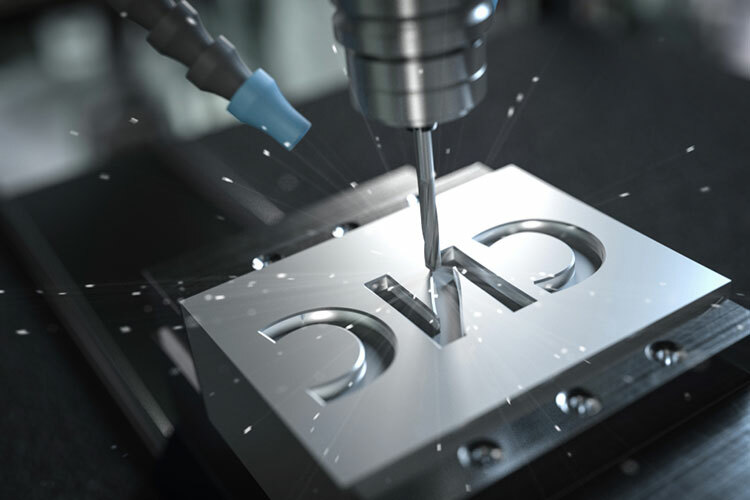 It responds to the control logic of the computer and carries out the decoded instructions by machining the products. Both the machine table and the cutting spindle are set to move at their own axes- X and Y axes, and Z axis respectively. This gives it the capacity to machine products accurately as it follows preprogrammed instructions. The machine tool is located between t eh driving system and the feedback unit. This allows shaping and designing of the work pieces. It comprises of drive motors, amplifier circuits, and ball-lead screws. The rotation of these parts determines the movement of the cutting spindle and the position of the machine table. Signals are received by the amplifier circuits, telling the required speed and position of the machine tool. The amplifier circuit then increases the signal activating the drive motors and rotating the ball-lead screws. The driving system is positioned behind the machine tool. It functions as an intermediary by passing translated instructions from the MCU to the machine tool. This is also called the measuring system. The feedback system ensures the efficiency of the production process by monitoring the position and speed of the cutting tool at any instant. This is done by transducers which continuously relay signals related to the cutting processes to the MCU. The MCU uses the difference between these signals (reference and feedback) to initiate corrections on position and speed on the cutting tool. The feedback system is positioned between the machine tool and MCU. This allows the perfect relay position for signals between the other two components. The programs, commands, measurements, and readings of the axes are shown on the display unit. It allows physical monitoring of the processes and analysis on statistical adjustments required if any. Display units are usually monitors located outside the body of the CNC router. Most times, they are screens located close to the control panes. Other times, they are the monitors of the computers attached to the input devices. Now that you have read about the various components, there still remains a question. How do CNC routers work with the combination of all these parts? Regardless of the type/variation, a standard machine carries a particular set of actions. The process is highlighted here in a few steps. A program containing the instructions for the needed part is inserted into the MCU through the input device. MCU processes the data in the program, translates into machine language and send to the driving system. The driving system initiates and controls the speed and positioning of the machine tool. The feedback system documents and relays signals of the processes to the MCU throughout the processing. MCU makes required adjustments on velocity and position of the machine tool based on current and previous signals collected. The display unit shows all the important data in the process, allowing the user to monitor the machine. CNC machines up your game when it comes to designing and creating astonishing woodwork. So, it is in your best interest to understand how it functions. Getting detailed information about its components can bring you closer to learning how to use it. And the uses vary, making them very advantageous. The basic designs of CNC routers allow you to create accurately measure jobs at shorter lengths of time. They also increase the number of pieces you can produce at a given time. Plus, the overall mechanism is easy to operate and adjust. This is why they are widely used in manufacturing industries and the likes. So, it makes sense now, why it was important to read this article. Now, you would no longer feel uneasy when someone asks you, ‘hey buddy… how do CNC machines work’? Neither would you need to be the one making inquiries every time you need to use the router for various projects. Plus, it makes the idea of purchasing one for your workshops more appealing. 7 Planer vs Jointer – Which One Should You Buy? 9 How to Measure Bandsaw Blade for Any Cut Type and Material?